To enter, you must be at least 18 years of age and a U.S. citizen or permanent legal resident. Company employees and their immediate family members are not eligible. Immediate family includes only spouses, parents and children. By entering the contest, entrants agree to have their submitted name displayed on our website/social media and used by us for any purpose, at any time, without any fee or other form of compensation. We reserve the right to disqualify users, without notice, and for any reason. Once a person enters, they will be eligible for that week’s entire contest. And each winner can only win once. A winner will be chosen every week on Fridays at 4pm and will be notified by email within 24 hours. The gift certificates are only redeemable toward one (1) art purchase totaling $500 or more. 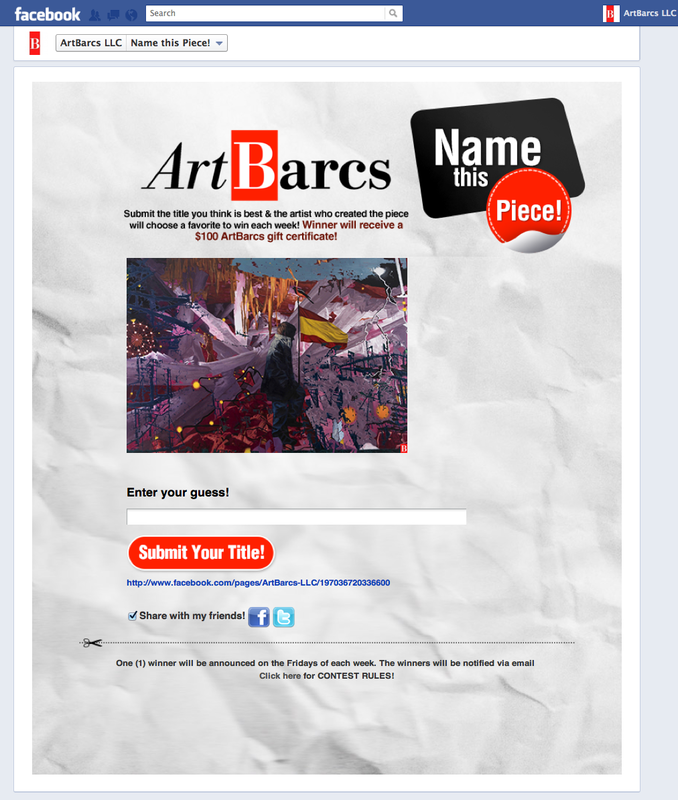 Prize is non-transferable & cannot be combined with any other offer from ArtBarcs. Offer will expire one (1) year from date received. Discount only valid with proof of this certificate. All gift certificates are numbered and dated for validity.